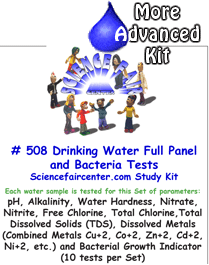 Drinking Water Full Panel and Bacteria Tests for water potable sources. Drinking water panel with wide range of chemical parameter tests and bacteria testing for detailed comparison of water sources and treatments. Detailed experiment for science fair project that combines chemical and bacteria testing. 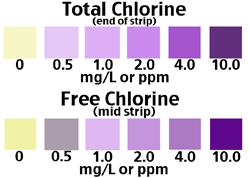 Chemical testing both mg/L (or ppm) and microgm/L (or ppb)) only takes a few minutes per sample. The bacteria sample grows for 2 days before reading. 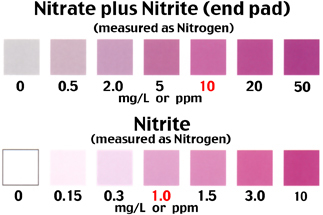 Each water sample is tested for this Set of parameters: pH, Alkalinity, Water Hardness, Nitrate, Nitrite, Free Chlorine, Total Chlorine, Total Dissolved Solids (TDS), Dissolved Metals (Combined Metals Cu+2, Co+2, Zn+2, Cd+2, Ni+2, etc.) 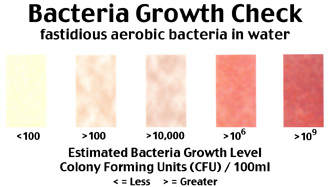 and Bacterial Growth Indicator and Bacterial Growth Indicator (10 tests per set).